If you follow IT security news, you might have heard about the Meltdown and Spectre vulnerabilities over the past few weeks that have caused quite a stir, both for computers and servers. In short, Meltdown applies to only the Intel and Apple processors and works by taking advantage of a privilege escalation flaw which takes kernel memory access from userspace. Spectre applies to the same Intel and Apple processors but extends out to ARM and AMD as well and works by tricking processors into executing instructions that they normally wouldn’t be able to do. Microsoft has been rolling out patches for the Meltdown and Spectre vulnerabilities over the past few weeks for everyone who has a computer that runs on Windows and web hosting providers right around the world, and anyone who works with servers has been frantically trying to apply these updates themselves as well manually. So far the software updates that were issued to the Windows operating system haven’t always gone as planned, and many people have reported some bugs: Blue Screen of Death, computers stopping unexpectedly, a lack of performance is evident, and other general bugs like unwanted reboots. 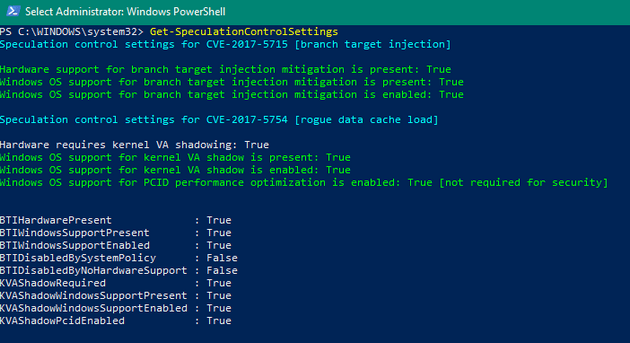 If you’re one of the people who has suffered from these Meltdown or Spectre related problems in recent patch updates, Microsoft has now released a KB4078130 Windows update aimed at improving the stability of your system, but it also comes at a cost. You won’t find the patch for Spectre there anymore, which means your system is vulnerable once again. There isn’t much information floating around the Web about how you should handle this one. Common sense suggests that if your computer isn’t usable, then you’ll probably want to definitely have this KB4078130 update installed so you can use it again. The rest will have to come down to your own judgment on a case by case basis. You probably won’t have to worry about Spectre being a problem for your computer, it’s more just a luxury to make sure you’re patched. Since it doesn’t make sense to make this publicly available to everyone, you won’t find the KB4078130 update rolling out to Windows Update like most other software updates usually do. Instead, you need to go get it manually from one of the webpages coming from the Microsoft Update Catalog website.